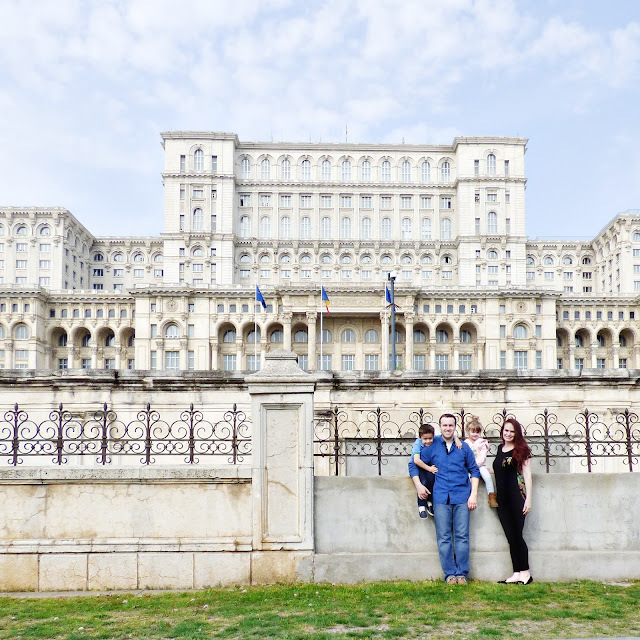 Our latest adventure found us in the capital city of Romania - Bucharest! Why? Why not! 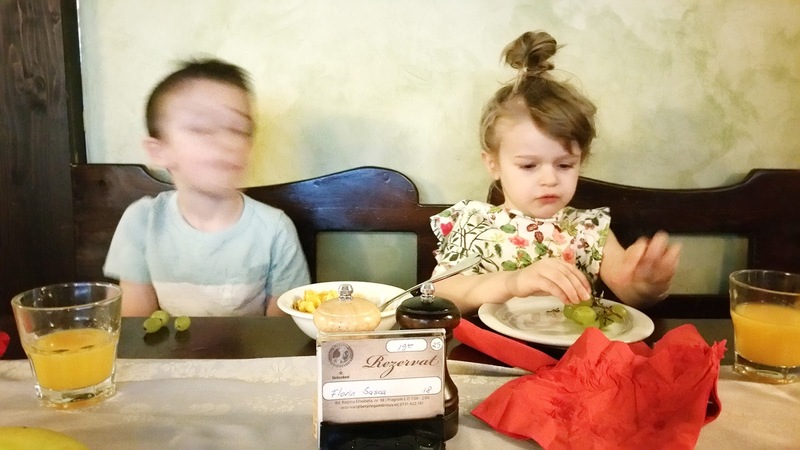 Welcome to Romania, Evans kids! 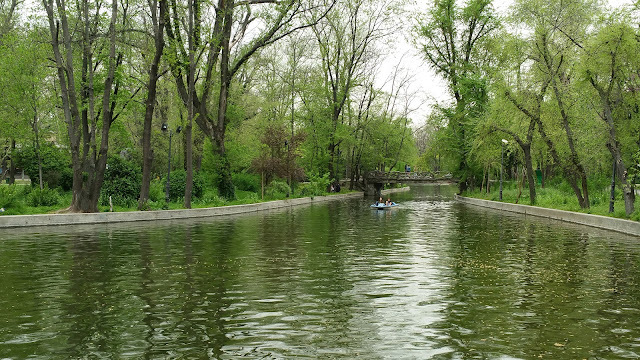 We picked up our rental car and drove the twenty minutes into the heart of Bucharest. The 27 meter tall Arcul de Triumf commemorating the 1918 reunification of Romania greeted us as we entered town. We stayed at the Hotel Cismigui, a great hotel in the middle of all the action. The room was very comfortable with a separate bedroom, kitchen, and sitting area. Plus, there was parking at the hotel for our car. Perfect. The view from our room. Lots of old and new! Bucharest is dynamic, energetic, and more than a little bit funky. It's where still unreconstructed communism meets unbridled capitalism, where the forces of Europe intersect with the Balkans and Middle East. While much of the center is modern and a little bit garish, you can still find some splendid 17th and 18th century churches tucked away on quiet corners and remnants from when Bucharest was known as "The Paris of the East." Communism changed the face of the city for good, evident in the masses of Soviet-chic apartment buildings. We checked into our hotel, grabbed some lunch at the little, local and chic Romanian place across the street (McDonald's, lol) and headed out to explore the city. 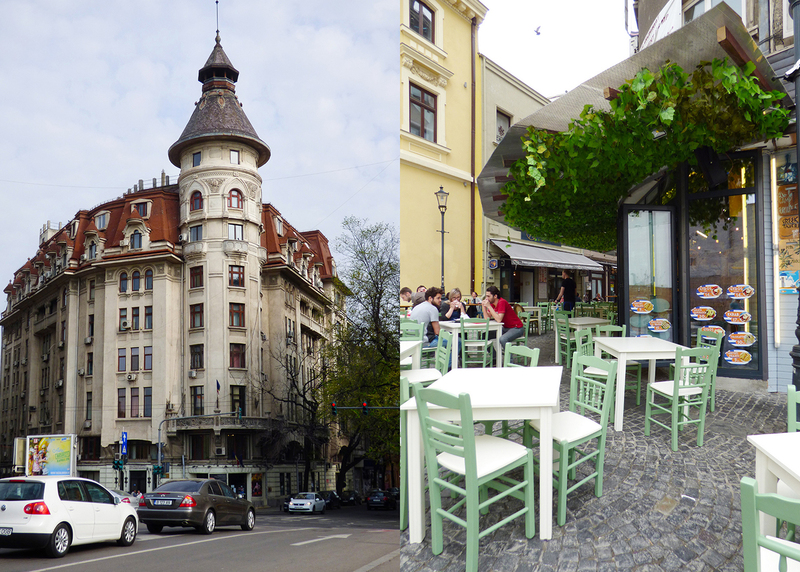 Just down the street from our hotel was Piata Universitatii. Many university and government buildings are situated here, along with some grand old buildings, cafes, and restaurants. This was also the scene of the fiercest fighting during the 1989 revolution and subsequent miners' revolt in 1990. Lovely building near the square. Leaving Boulevard dul Regina Elisabeta, we started walking down towards Piata Unirii and passed by the Coltea Hospital, one of the oldest in Bucharest. The Unirea Shopping Mall is a big, modern mall fronting the Unirii Square. Piata Unirii stands at the center of the new socialist city that the dictator Ceausecu began building in earnest in the 1980s. Today it is a pleasant park and the flowers were in bloom. We were planning to go on a free two hour walking tour, meeting here at the clock at 3pm, but when 3pm came and went we looked at the website and it said tours were at 10:30am and 6pm. I swear it must have changed from when I looked because how would I have gotten 3pm? Anyway. It's all good. We explored on our own! Fountains facing the huge 1980s apartment blocks. It's own kind of beautiful. The Dâmbovița River cuts through the city. Leaving Unirii Square we headed into the Old Town. The Old Princely Court Church stands near the Old Princely Court. 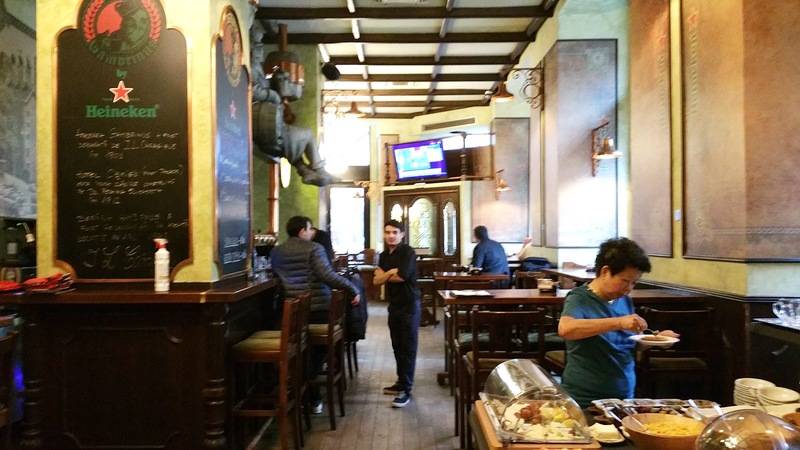 The church was built from 1546 to 1559 and is Bucharest's oldest surviving church. Inside, the faded 16th century frescoes near the altar are originals. Near the church is the Old Princely Court. While it was allowed to fall into disrepair over the centuries, renovations are underway. You can see a menacing bust of the famous Vlad Tepes staring at you over the fence. The area around the court thrived from roughly the 16th to the 19th centuries as a merchant quarter for artisans and traders. During much of the 20th century, until as recently as a few years ago, the area here had become a slum. These days, the old town is becoming the liveliest, hippest, bawdiest, and loudest quarter in town. 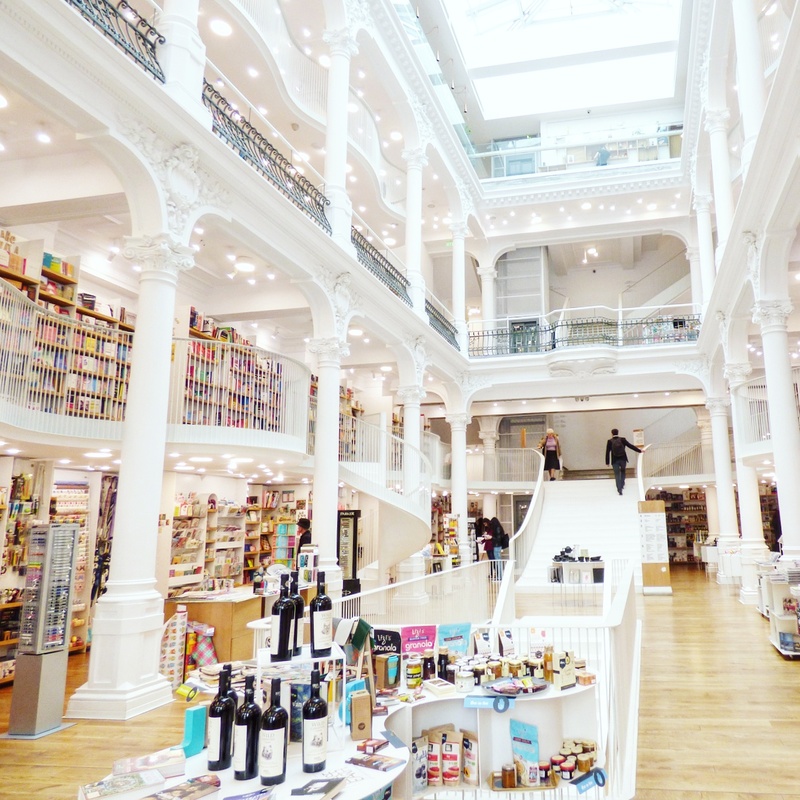 Our friends Morgan and Jordan went to Bucharest a few months ago and they went to this awesome bookstore. I knew we had to find it, stat. Located in the heart of the old town, Cărtureşti Carusel opened last year in a beautifully restored 19th century building. Eventually we left and kept exploring. 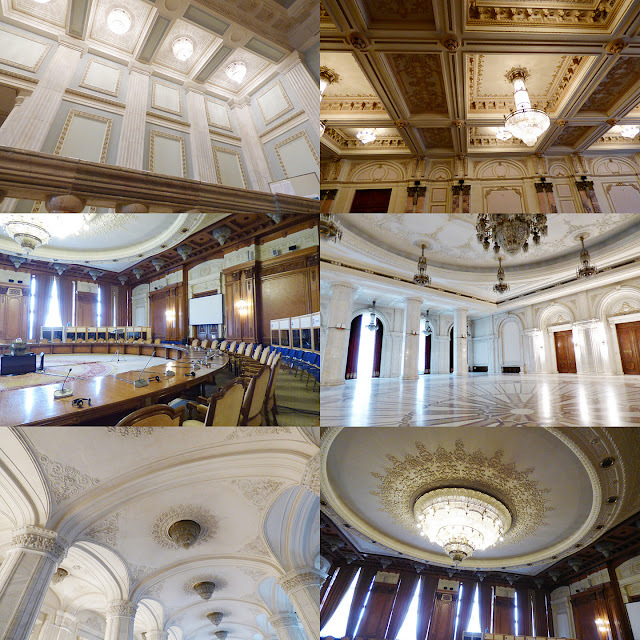 The pretty, bronze domed National Bank of Romania. 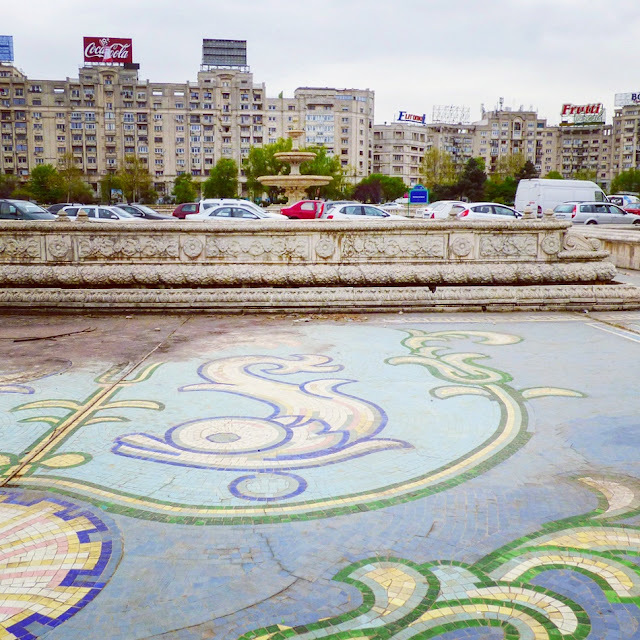 Remnants of Bucharest's golden age. Tucked away in the old town is the charming Stavropoleos Church. It dates from 1724 and was designed by Romanian architect Ion Mincu. It has an ornate courtyard filled with tombstones that is a place of peace in the busy old town. The church also has an ornate wooden interior. There were people praying and being blessed and very reverent inside, so I didn't take any pictures. Nearby is the CEC Palace in another 19th century gem. One of the strangest sights in the city stands outside the National Museum of Romanian History: a statue of the Roman emperor Trajan standing naked holding a Dacian wolf. 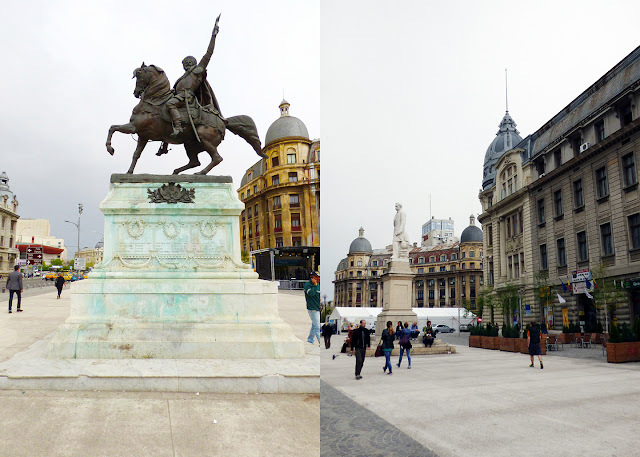 The statue was added in 2012 and has quickly become the most ridiculed (and photographed) monument in Bucharest. The main sights in the city are the handful of beautiful historic churches that thankfully survived the rebuilding and demolition projects undertaken by Ceausescu. Love this pop of purple! Back of (or front of?) a bank. The Russian Church, partially shrouded by scaffolding. Eventually we walked to Cismigiu Park. Such a lovely piece of greenery amidst the urban sprawl. The kids spotted a playground so we let them play for awhile as we enjoyed the peaceful atmosphere. For dinner we walked down the street to Pizza Hut and then went to sleep after a long and fun day. The next day we drove around the countryside and visited two castles - recaps coming later! 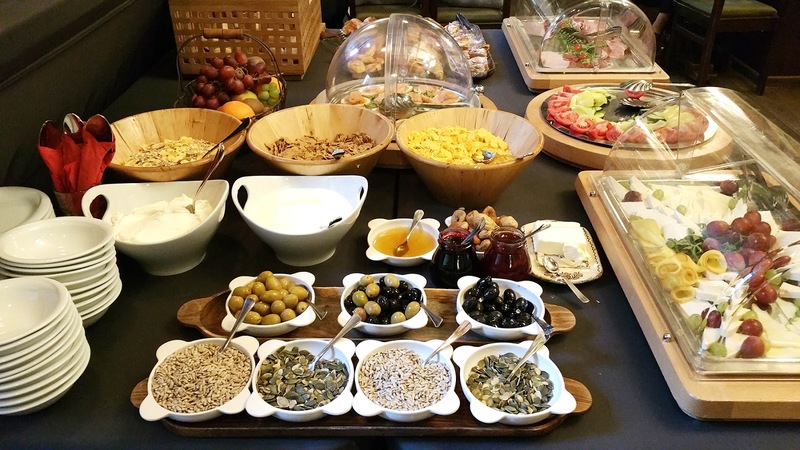 On Sunday April 10th we had a tour of the Palace of Parliament planned in the morning, but first, breakfast at the hotel. Then we hit the streets in search of some water and candy - the usual. The Romanian flag is like unto France's except the white is yellow - now I'll always remember! I love these flower stands. Fox has always had a thing for picking dandelions. 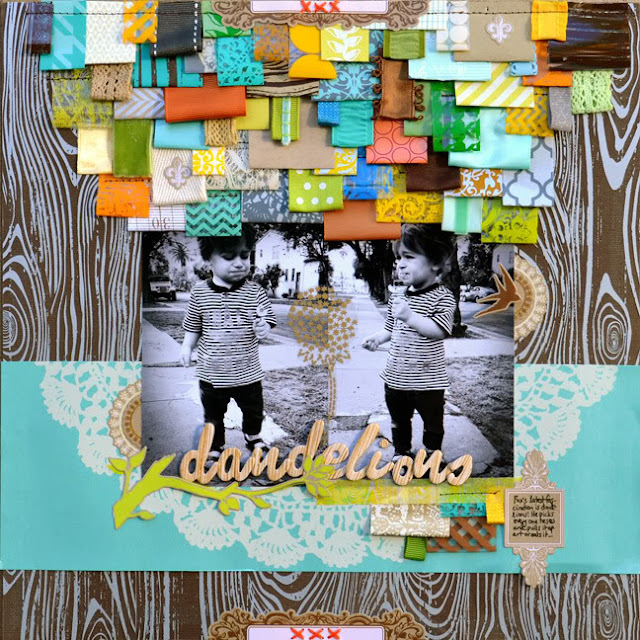 I even have a scrapbook layout about it. Our family in Bucharest, Romania at the Palace of Parliament on Sunday, April 10th 2016. This is the world's second largest office building (after the Pentagon) and is dictator Ceausecu's most famous and infamous creation. Getting through security was like going through airport security, except they took our passports and kept them until the end! Details of some of the fancier rooms. Check out the huge crack all around this wall! Yikes! The palace wasn't finished at Ceausescu's death and the revolution, but it was finished to house various government rooms and offices. View of Bucharest from the top of the palace. In one hall there were religious posters glued to the walls. Apparently in 2002 a movie was filmed here and this was used to depict the Vatican. After the movie they tried to remove the posters, found out it was going to be difficult to do so, so they just left them up. Ceausecu planned to give speeches out here on the balcony, but never even walked out to it. The first person to do so was Michael Jackson who went outside and said, "Hello, Budapest!" Nailed it. Looking down the broad Unirii boulevard. It was intended as a kind of Communist-era Champs-Élysées. The big apartment blocks on each side were to house the party elite. It was never finished, but the sheer scale conveys something of the intent. We were mentally prepared for a 1 hour tour according to the guidebook we checked out from the library. 3 hours later, we finished. Let's just say, our nerves were shot, especially the poor kids. Taking in the whole of the massive Palace of Parliament. Wow. After that we returned to the hotel, rested, packed, and then made our way to the airport. Eventually we got on our flight and flew back to our wonderful adopted home country. Deutschland! Very cool! LOVING all the photos!! And I remember when MJ did that! LOL!!!!! Fabulous library, amazing that your kids were the only ones on the staircase, red door/aqua combo reminds me of PinkFresh, amazing palace photos and love the photo you took from your perspective (passed out on the floor of Chris and Fox). Amazing adventure. 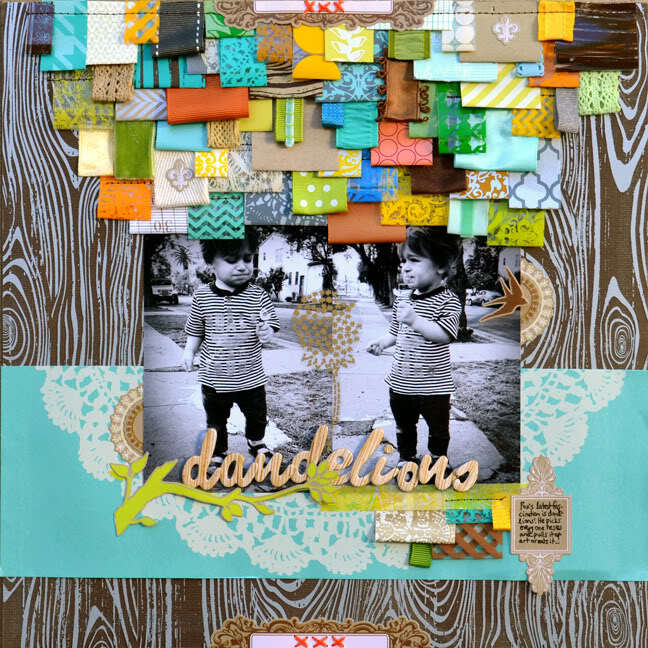 Loved your dandelion layout......miss Hambly.